Third annual fundraising event with net proceeds to support youth baseball. Round 2: 10 minutes of eating hot dogs (everyone at the same time). Hot dog fully consumed = 1 point. The winner of the hot dog round automatically advances to the Championship Round. Next, a total of 5 players advance to the Championship Round. Besides the hot dog winner, the highest number of cumulative points from Round 1 and Round 2 determines the remaining players to advance. In the event of a tie, the higher hot dog total determines the player(s) to advance. If still tied, well we'll just have to let an extra player or two advance. In the Championship Round, home run totals clear but hot dog totals carry over. In other words, all players will start with zero home runs in the Championship Round but will have a starting score equal to the number of hot dogs eaten in Round 2. Tie breakers after the Championship Round: Each batter gets 5 more swings. If still tied after the 5 additional swings, the higher hot dog total reached in round 2 will determine the winner. If still tied after that, a "base race" will determine the winner. The event will take place on June 30, 2018. Registration and warmups at 9AM and the competition begins at 930AM. Field location is Oakwood Park in Menomonee Falls. Bring the whole family to watch this unique event! Contestants must be adults or 16 and older with written parental permission. Participant fee is $25 per contestant, which gains entry into the contest and includes a Dogs & Dingers moisture wicking t-shirt and all the hot dogs you can eat! Spectators are welcome! A $5 contribution from spectators includes a hot dog, chips and drink. We are properly permitted for adult beverages so be sure to BYOB! Sign up deadline is past! Look for 2019 D&D information next spring! 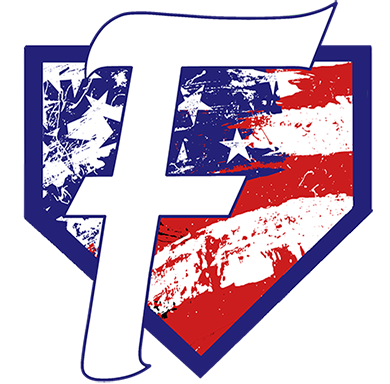 Falls Baseball will contact all registrants with payment instructions within 24 hours after this form is submitted. Payments will be available via cash or check.